This blog post was contributed by the STIR editorial team based at HMP Shotts. The creative arts provide a valuable outlet for people from all walks of life. As a template for self-expression, they provide a constructive means for expressing emotion. In an environment where time can bear down on the individual and crush the spirit, any positive activity that engages people must surely be seen as a success. 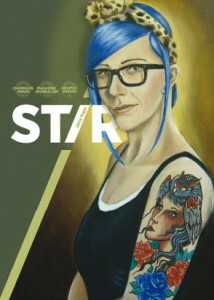 That’s why we’re so proud of STIR; a creative arts magazine produced by prisoners for prisoners. Essentially a collaboration, overseen by New College Lanarkshire, STIR covers seven Scottish prisons (Barlinnie, Cornton Vale, Dumfries, Glenochil, Low Moss and Shotts). The magazine features a variety of art forms, which we collect in the form of submissions for every issue. The selection process is democratic, interspersed with the occasional heated debate; if a piece of art speaks to us, individually, we will fight for its inclusion. Unlike some other publications, we try to present a different aspect of prison ‘art’ from that which is often depicted. 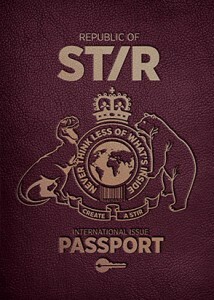 “I’ll be honest with you, when I was asked to join the STIR editorial team I had some reservations. I didn’t feel I had the necessary skills to work on something as big as STIR or have the confidence to mark and judge the work of my peers. From the outset STIR has grown and as it continued to grow I have been fortunate enough to grow along with it. Working on STIR has taught me many valuable skills that I use everyday, skills that will be invaluable throughout the remainder of my life. I am now far more confident about my own abilities and judgment, I can work well on my own or part of a team, I have valuable computer and graphic design skills, I have better inter-personal skills, better writing and language skills and a more broad minded creative outlook on life.” STIR Editorial Member. Some of our readers have told us that “It gives purpose and meaning to inmates with their art, reading and writing” and that the magazine, “takes you away from troubled thoughts and releases you from tension”. Whereas people on the outside feel that it “shows powerfully what talent lies beyond the prison walls and why access to creative learning opportunities in prison are so important”. (Nina Campion – Head of Policy, Prisoners Education Trust and member of the Arts Alliance steering group). These reactions are what makes STIR exciting: whether it is a case of giving someone an outlet or indeed inspiring them to pick up a paintbrush to canvas or pen to paper, knowing we’ve made a difference is all that matters. STIR over time has become an essential outlet for all prisoners of every race, colour, gender, sexuality and creed. It allows prisoners to have a voice and express their thoughts and emotions in a meaningful way. It is well known that art has therapeutic qualities and this can be extremely beneficial for those who want to change their lives and rehabilitate themselves whilst in prison. It is for this reason that STIR and its continuation has become vitally important to prisoners all across Scotland and hence why we couldn’t be more grateful for the funding from Creative Scotland to support us for the next four issues. STIR has bridged the gap between prison and the outside community. We are online (well STIR is, we actually are not !!) 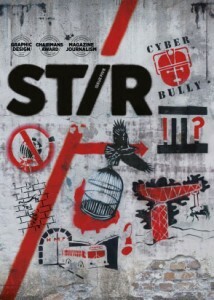 www.stirmagazine.org. Let us know what you think. Great to hear this and all the best for the future.